My curiosity fueled by the intriguing name of this new gallery brought me last Friday to Sunset Surf Club Bushwick. Sunset Surf Club is a very new and a very different art space on Wilson Avenue. 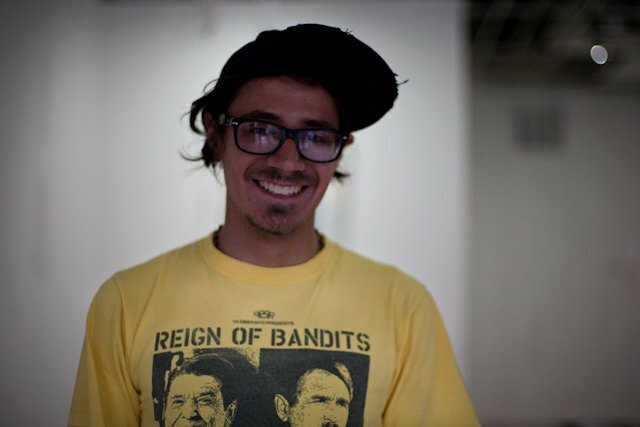 Ran by conceptual artist and curator Julian A. Jimarez Howard, Sunset Surf Club seems to be placing the main emphasis on the concept and the idea behind the gallery as such. The gallery opened only three months ago and undertook to host bi-to-tri-monthly art shows and events. Their current show is already their fifth show. "I carry suitcases for rich people at The Standard Hotel, and I have never had as much money I have right now," said Julian with a large smile on his face. "...and this is what I've always wanted to do," he said about the existence of his brain child, Sunset Surf Club. 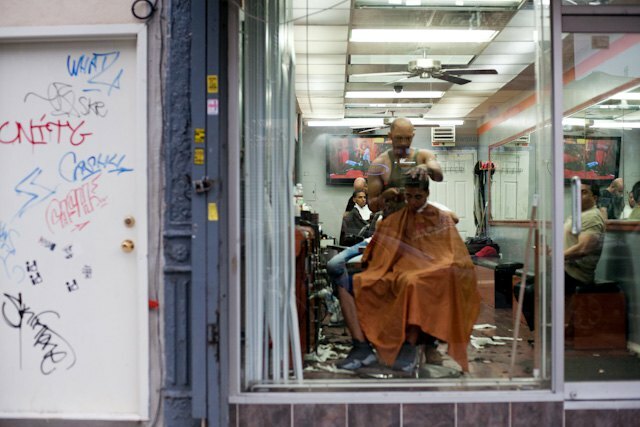 Sunset Surf Club is located on 253 Wilson Ave, a block past Myrtle Avenue in a storefront next to a barber shop and a tattoo studio. Despite the relaxed vibe surrounding the gallery, the space is absolutely pristine with beautiful finishes. I feel like the unknown and the planned are existing in great symbiosis at Sunset Surf Club. The surprise element that comes with frequently rotating art shows supplemented with dumpling workshops doesn't intervene with the well defined concept and the idea of the space as an incubator of new ideas and a challenger of traditional gallery values. Sunset Surf Club doesn't need to appeal commercially. In fact Sunset Surf Club is blatantly rejecting the power of the brand through the name of the gallery. "It's a seasonal name," explained Julian the name of the gallery. "We are changing 'Sunset Surf Club' into something else in October." 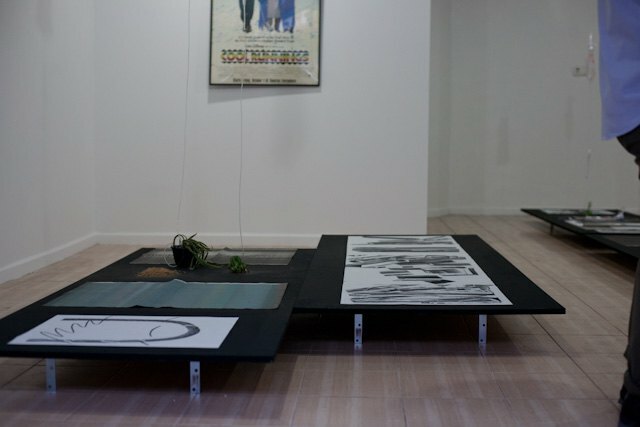 The current show The Patio, the Small Room, the Long Walk features charcoal drawings of Justin Hunt Sloane. The artist himself suggested the pieces are not hung on the walls, but placed horizontally on the floor. "I didn't want them to be too serious," Justin said. 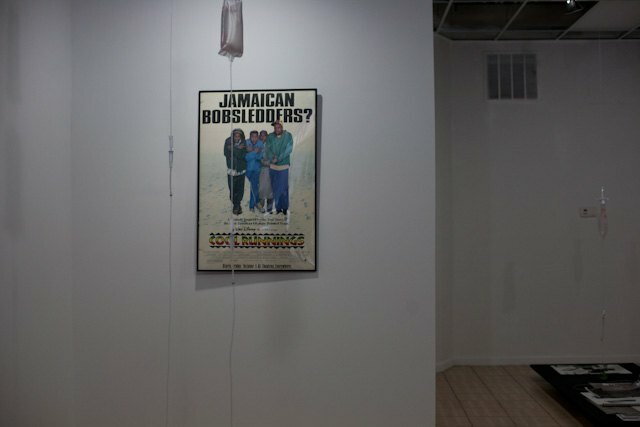 The only two pieces hanging on the walls are a Cool Runnings movie poster and pages from a book of prints released simultaneously with the exhibition. 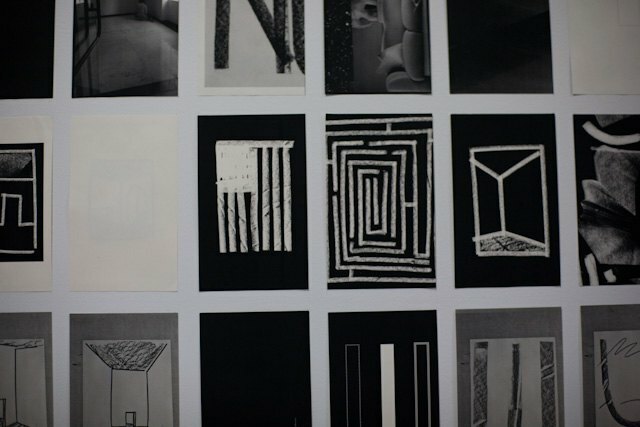 The drawings are tracing Justin's recurring dream and are a "crossing between printmaking, abstraction and letterform, flatness and depth." Placed between the drawings, several plans are connected to dripping hospital infusions. Sunset Surf Club Bushwick, 256 Wilson Ave, off Knickerbocker M train, The Patio, the Small Room, the Long Walk (Justin Hunt Sloane) through July 31. To be updated about their shows and activities, like them on Facebook.